Danica Patrick is the first woman to host the ESPYs. She is also the first, and only, woman to win an IndyCar race. That's badass. I want to establish that I know how impressive Danica is as a human being and an athlete before I move on to the frivolity of her relationship status and before I sh-t on her skills as an awards show host. Danica's ESPY monologue was not badass. You could tell she didn't write a single word of it and she's not a comedian so her delivery was busted. She also made a disastrous joke about anthem-kneeling which was cringe-inducing at best and insensitive at worst. Another joke that fell flat was a quip about Lebron’s hair but she recovered slightly with her best joke of the night. 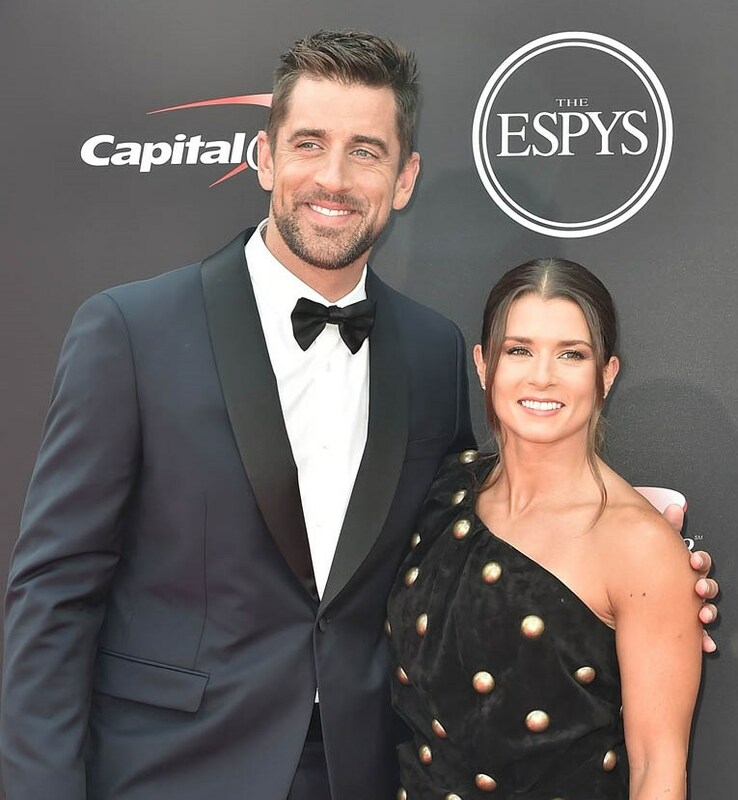 It’s a good thing Danica and her boyfriend, my former QB1 Aaron Rodgers, made their red-carpet debut as a couple at the ESPYs. It gives us something to talk about that doesn’t involve Danica’s comedic timing. Usually I’m very loyal when it comes to crushes. Refer to my unhealthy allegiances to Michael Bae Jordan and Chris Pine. 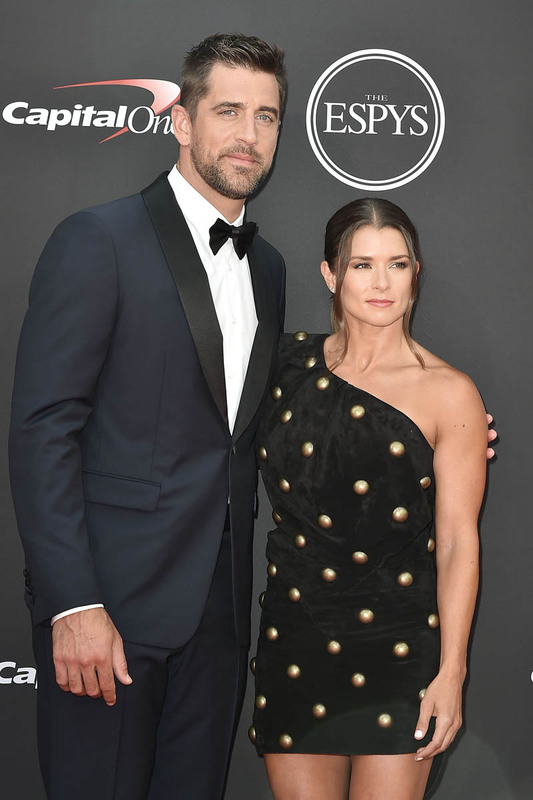 Aaron Rodgers lost his appeal to me after his breakup with Olivia Munn and it turned out he’s just another Hollywood leech while Olivia was the one who was called out the most in their relationship. 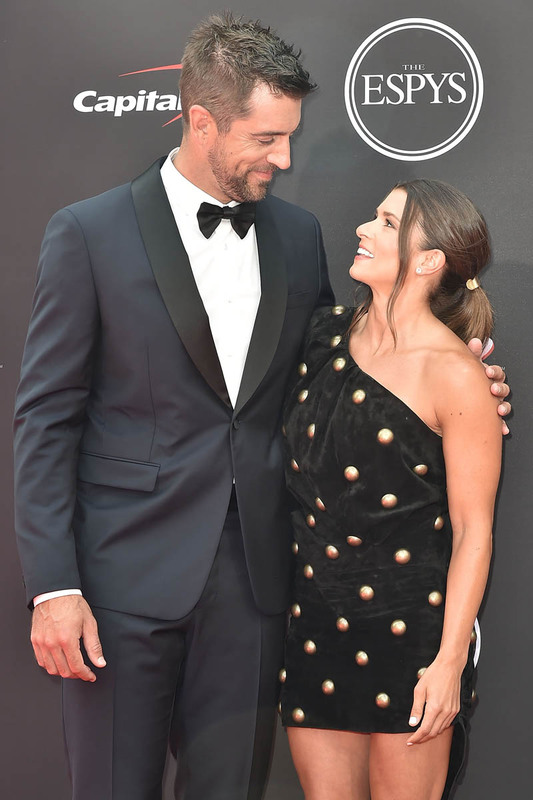 If we’re going by the reports after their breakup, Aaron Rodgers seems to like fame. He likes getting facials in LA and doing typical Hollywood things like hanging out with Nick Jonas (why aren't there more photos of this?). After his football career, I would bet that Aaron Rodgers is still going to be visible… and he’s still not going to talk to his family. It wasn't Olivia that made Aaron go Hollywood, it was Aaron who used Olivia to stay Hollywood. Is he doing the same with Danica? The thing with this couple is that I think they both equally love the spotlight. Danica has spoken openly about capitalizing on her platform to gain more visibility aka sponsors so that after her racing career, she'd still be a personality. She's got a wine label and a partnership with GoDaddy. Hosting the ESPYs could be part of her attempt to stay relevant. I’m not mad at that hustle. Are Aaron and Danica in the hustle together? She’s gushing about him in every interview and sharing details about their life together. I feel like their pairing should be a bigger deal than it is. I’m sure they feel that way too. Does anyone care? They are two of the most famous athletes in the world and they look cute together I guess. Should we care more? Aaron Rodgers' father confirms estrangement from family saying "fame can change things"